IntelligenceLab is a set of .NET 2.0-4.5 components for Artificial Intelligence. 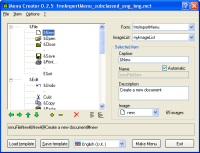 Also includes a visual graphical editor for codeless development. Contains: - Neural Network - Feed forward Neural Network classifier. - Naive Bayes - Naive Bayes classifier. - K Nearest Neighbor - K Nearest Neighbor classifier. - Self Organizing Map - Self Organizing Map classifier. - Radial Basis Function - Radial Basis Function Network classifier. - Back propagation - Back propagation Neural Network trainer. - RProp - Resilient back propagation Neural Network trainer. - Neuron - General purpose neuron component. - Data preparation components - Prepare the training, features and classes data. Typical applications: - SPAM filters. - OCR applications. 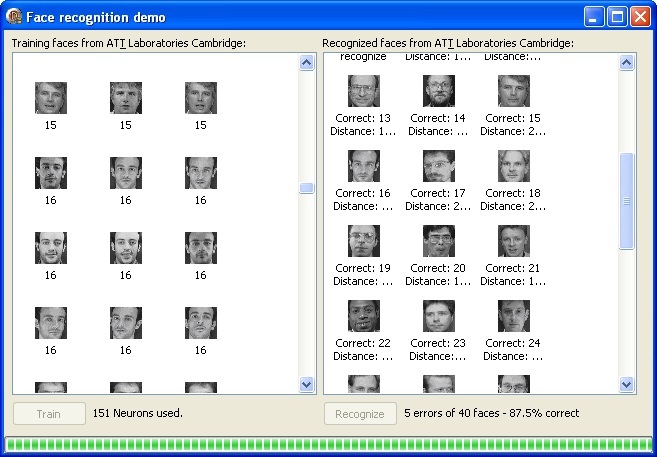 - Computer Vision. - Speech recognition. - Data classification. - Robotics. - Decision making. Free for non-commercial use. You can create 5 VB menu styles: Button3D, Office 97/2000, XP,2003 and New3D! Add to menus: images, descriptions, colors, backgrounds, gradients side-bars for each popup menu with aligned/rotated/colored text, image, custom colors, and more! Tool for model-driven software development with UML in C#, C++ and Java. Develop domain models with the UML and automatically transform them into into technical models and large amounts of code. Round Trip in your IDE. Aspose.Report is a query building & charting control allowing develoeprs to quickly add ad hoc capabilities to their .NET applications as well as creating 21 popular chart types with effects like 3D rendering, transparency, gradients & anti-aliasing. an easy-to-use software to count lines of code in source for SQA, Project Managers and Programmers. Able to count Visual Basic(VB/VBA) language. Includes total counts and percentages for comments, blanks and source lines. All reports can be exported. Source code for software developer interesting in lotto software design. You will get unbelievable speed under your control. One of a kind offer for limited time only. Make your own lottery software and add lighting speed to it. KHISDN NET fÃ¼r das .Net-Framework. Steuerelemente, mit denen Sie auf einfachste Weise eine Rufnummernerkennung in Ihre Anwendungen implementieren. This site does not contain serial number, crack, keygen IntelligenceLab .NET serial number : serial number is the simplest type of crack. A serial number(cdkey,product key,etc) is register the program as you may already know. a crack or keygen may contain harmful software. If you cannot find the exact version you want, just give it a try. for more information read .nfo/.txt/.diz file include in zipped file.